Boothbay Harbor, also known as the boating capital of Maine, is the ultimate spring and summer vacation destination! It’s beautiful natural scenery, plethora of shops and restaurants, and friendly hospitality has made this charming coastal town the go-to place for the best Maine vacations. If you’re planning your next big getaway, here’s why you won’t want to overlook Boothbay Harbor! Find even more activities and attractions to enjoy in our free Boothbay Harbor Vacation Guide! It’s filled with everything you need to know about our area and how to have only the best Maine vacations. 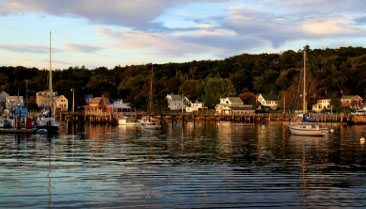 With so many things to see and do in Boothbay Harbor, you’ll need more than one day to experience it all! Here are some of our guests’ favorite things to do that we’re sure you’ll love. During your stay in Boothbay Harbor, you’ll have plenty of options for getting out, enjoying the fresh air, and making memories that you’ll always cherish. If you’ll be visiting in late spring/early summer, you won’t want to pass up the chance to enjoy Maine whale watching! Boothbay Harbor is home to the best whale watching experiences in Maine and gives patrons a unique up-close-and-personal encounter with some of the sea’s most majestic creatures. If you’re hoping to spend some time on the water, you’re in luck! The boating capital of Maine boasts unforgettable guided boat tours, schooner rides, and kayak rentals. 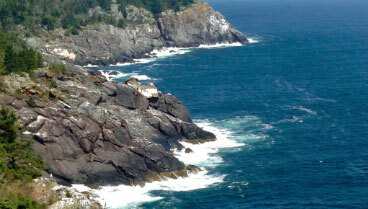 A memorable day trip also awaits on Monhegan Island, a small and rocky island right off the coast with hiking trails, a brewery, and art galleries. There are several must-see attractions you won’t want to miss in Boothbay Harbor! One of our personal favorites is the Coastal Maine Botanical Gardens! Located just minutes from our inn, this enchanting garden is filled with nearly 40,000 colorful flowers, intricate sculptures, and educational programs for visitors of all ages. Music lovers will also enjoy spending an evening at the Boothbay Harbor Opera House, a historic venue that has played host to musical artists from all over the world. The Maine State Aquarium is the perfect place to spend a rainy day and admire the region’s fascinating sea life. In addition to touch tanks, rotating animal exhibits, and educational programs, the aquarium also offers daily lobster talks that grant visitors with a new appreciation for the world below the waves. Throughout the year, Boothbay Harbor hosts an array of exciting festivals and events! The most popular of these festivals is Windjammer Days, a summer celebration of Maine’s maritime history. This week-long party features a wide range of events and attractions including a boat parade, lobster-eating contest, waterfront concerts, and unique boat excursions. Since this festival is such a hit with visitors and locals alike, we highly recommend making reservations in advance so you won’t miss a moment of the fun! In September, the Boothbay Harbor Fest brings visitors together for great food, live music, and plenty of events! Whether you participate in the 5K and Half-Marathon or delight your palate at A Taste of Local Flavor, you’ll find a Boothbay Harbor Fest event that you’ll be talking about for years to come. Topside Inn in Boothbay Harbor has quickly become one of the best places to stay in Maine, and for good reason! 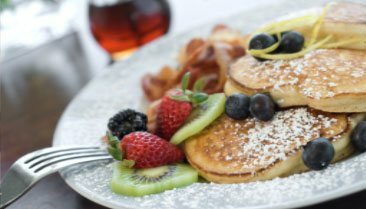 With spectacular water views, highly-appointed guest rooms, and a delicious gourmet breakfast served each morning, the Topside Inn provides a unique guest experience just steps from all of Boothbay Harbor’s coastal village. It’s everything you need and more for the vacation of a lifetime! 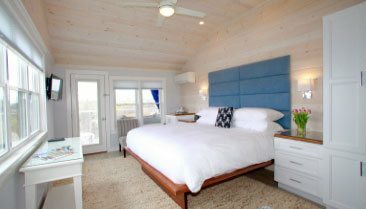 Book your favorite room at the Topside Inn today! We look forward to welcoming you to Boothbay Harbor soon. Don’t forget to take a look at our exclusive specials and packages to find out how you can enjoy more out of your getaway for less!